This weekend, we held a bridal shower for my soon-to-be-wed sister Lizzy--however, since Lizzy lives in the USA, and we live in Malaysia, this bridal shower was made possible by the power of technology! In our part of the globe, we invited many of Lizzy's friends and the ladies who had watched her grow up to come to spend an evening celebrating her and chatting with her about her love story and plans for marriage. MaryGrace was the primary baker--spending most of Friday making three kinds of cookies and biscuits and all sorts of yummy treats. As usual, I prepped games, decor, and favors. On Saturday, the day of the party, we spent the whole day at a charity fundraising event, only returning home an hour before the party was due to begin. Thankfully, Mom had been at home during the day and had time to prepare the last-minute fruit and veggie snacks. Lizzy and Anna called in promptly at 7--which was 7 in the morning, their time! As guests arrived, they were instructed first to guess how many chocolate kisses were in this silver box (they were allowed to shake the box, but not to open it! ), then they had to take a little toy ring to wear, and were told that if they said wedding or bride, anyone could ask them to give up their ring. By strange coincidence, one lady guessed the exact number of kisses in the box, and she was the one who didn't know that you were allowed to lift the box or shake it, she'd just guessed, and happened to guess "77"! She certainly earned the prize of taking the whole box of kisses home! Also funny, we asked Anna and Lizzy to guess the number of kisses based on looking at the box, which must have looked really small in the video, because they guessed "25" and "18." Most of the guests here who shook the box were in the 80-100 range. After guessing the number of kisses, we asked our guests to grab a plate of food--we always have a lot of food at our parties! And then they could sit down and chat with Lizzy for a bit. She told her entire love story--how they met, how he pursued her, how he proposed, and all those sorts of moments, which was really nice because, given the distance, not all of the women in her community here have been able to hear many of the details of their relationship. Of course, we had to show all of the lovely food to the bride, who was eating soup for breakfast, and didn't get to share in tasting our yummy treats! We had bought presents online, and also given Maid-of-Honor Anna some errands to run so that Lizzy had gifts to open during the party, but we also really enjoyed playing games. Because bridal showers are not particularly common in this culture, this was the very first bridal shower some of the guests had ever gone to--and they mentioned that they particularly enjoyed the games! One game we played was a version of "Mustaches and Tiaras," which involved asking the bride and groom to answer a list of questions ahead of time, then reading out the questions along with just one of the answers. Guests had to guess who gave that answer, the bride or the groom, and vote by raising either the mustache or the tiara--or BOTH, if they thought that the bride and groom might have had the exact same answer. 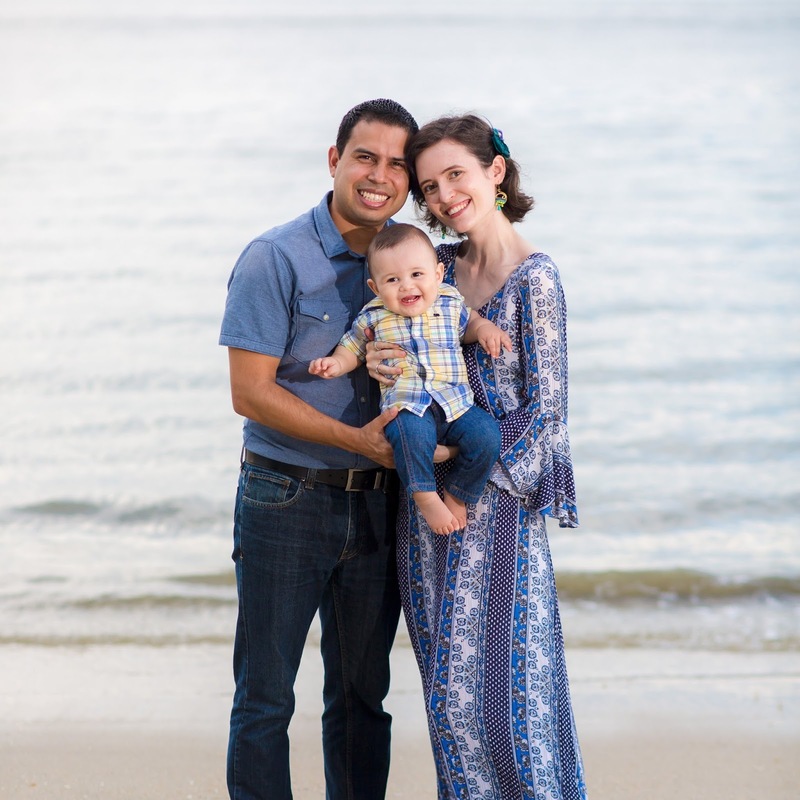 We took some time to all share our favorite relationship advice--even the youngest guests, including Sarah. I think MaryGrace's advice was one of my favorites: "Remember the importance of surprising someone...like giving them cupcakes!" Have you been to a bridal shower lately? We enjoyed ourselves, and it was a great way for Malaysia to get to have its own role in celebrating her upcoming wedding! There's always a bright side to technology! Sounds and looks awesome. But who eats soup for breakfast? I have never had soup for breakfast. Is this a cultural thing or a Lizzy thing? 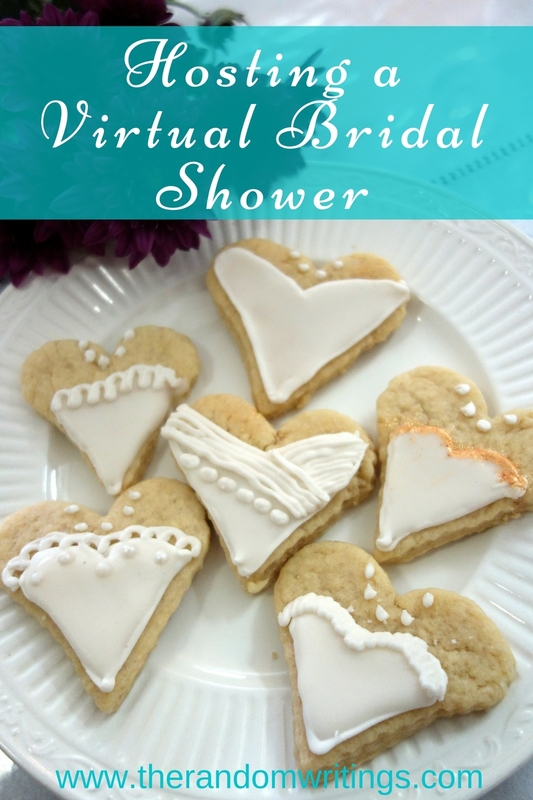 Wow, this is so cool that y'all had a virtual bridal shower for her! How creative. I find it interesting that bridal showers aren't that common in Malaysian culture-I've never thought of that before! The food looks quite tasty, and it's too bad that Lizzy couldn't get any! I bet her soup was good, though. The only soup I ever really have for breakfast is miso soup, but I don't ever eat it for breakfast that often-and I don't know why, because soup is so tasty and a great way to start off the day! (and way heartier/more refreshing than sugary breakfast cereal). This is really, really cool. I never would've thought to do this! How sweet and your stories were so funny! Especially the guessing kisses one ��! I wouldn't have thought they would've seen a size difference! Haha! technology fails us sometimes, but in this case i'd certainly say it was AWESOME! What a sweet idea. I'm sure your bride appreciated the effort. Those heart wedding dress cookies are very cute! What a cute idea! I never got to have a bridal shower with ALL of my bridesmaids since we lived in 5 different states! What a fun idea! Oh that is the sweetest idea! I haven't ever thought of doing something like that! I just love throwing showers, they're so much fun! That is such a creative way to host a bridal shower! This is so sweet and such a lovely idea. I love how much effort you went through just as if she were really going to be there in person! What fun. I think that this is a great reminder that we can be more involved in things with people even when we are far away! I love your spirit! And that you figured out how to host a bridal shower from half a world away. The bride is blessed to have you in her life! This is such a sweet idea. I'm glad the people in Malaysia were able to take part in the bridal shower. It looks like you did a great job. What a fun way to do a long distance shower! What a lovely thing to do when you can't be there in person. I don't think I've been to a bridal shower since my own which was about 18 months ago. We decorated biscuits very similar to the ones in you picture! The only difference was ours were bridal dresses that we had to decorate. We played a game I really enjoyed where each person wrote down a memory they had with me and I had to guess who wrote the memory. It was a lot of fun! Once again your party planning skills never cease to amaze! But a virtual bridal shower is a first for me. You pulled it off wonderfully. How fun! How special! And I love your game ideas! This is so creative and awesome! I love the mustache & tiara game (my sister did something similar at my bachelorette party.) I love how you hosted it virtually, but you still had some fun stuff for Lizzie to do stateside! I'm sure it's so difficult on all you sisters to be apart during such an exciting time of life. This is so sweet and creative. Also those cookies...with edible sparkles? So cool. My sister got married 5 months after we left the country - we attended her wedding via skype (skype is wonderful!). I don't think she had a bridal shower. I'm not actually sure that I've ever been to one. Did I have one myself? I don't think I did. This is actually making me kind of sad now! And hungry. That Cobb salad picture... yummy.